The HARTING Technology Group once again held its traditional trade press conference this year. 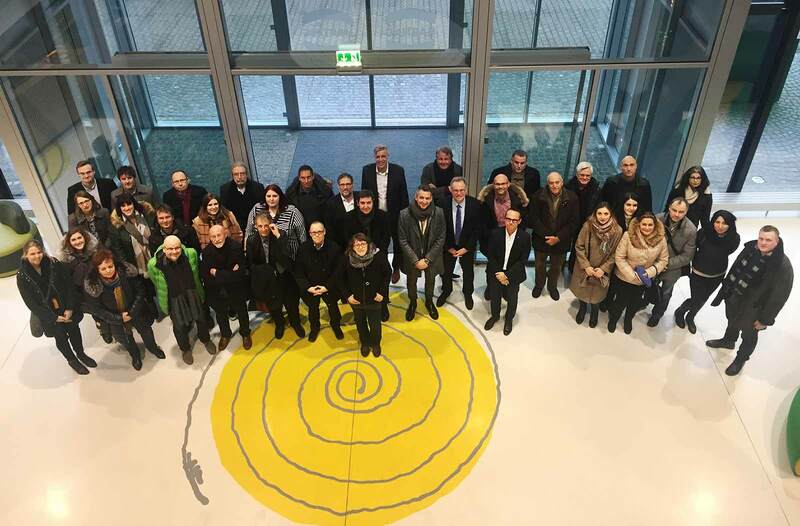 This time, 33 international and German journalists accepted the invitation to Rahden and Espelkamp to find out about the latest products, solutions and developments at HARTING. They were greeted by CEO Philip Harting. In addition to lectures, a visit to the HARTING Development Center and start-up production in Rahden was on the agenda. Uwe Gräff, Chief Executive of New Technologies since the beginning of the year, explained the importance of the Development Centre, which was initiated in autumn 2017, and then guided the group through the new start-up production. "Here in the Development Centre is where HARTING's heart beats. Cross-departmental cooperation in project teams helps to strengthen the competitiveness of the entire Technology Group. We are more versatile and agile, closer to our customers and therefore faster to market with our products and solutions," said Gräff. In start-up production, production technologies and standards are designed for worldwide use. International and German trade journalists came to HARTING to find out about the latest products and solutions. CEO Philip Harting gave a brief overview of current developments at HARTING and invited journalists to the HANNOVER MESSE (April 1 to 5, 2019). He emphasized the utmost importance of e-mobility for the Technology Group, but also pointed out the risks for global economic growth. After lunch, some of the trade journalists went onward to the HANNOVER MESSE Preview.